Senior Care Connection Inc. is dedicated to providing customized solutions to the specific care and housing needs of seniors. We also offer geriatric care management and placement assistance, with all services provided 24/7 and completely tailored around the individual. Consult with us today about your loved one’s needs and discover our dedication to delivering care with compassion. When age starts to take its toll and we can’t do the things we’ve always been able to, it’s important to ask for help. At Senior Care Connection Inc., we understand that asking for help isn’t always easy, which is why we’re always willing to provide it. 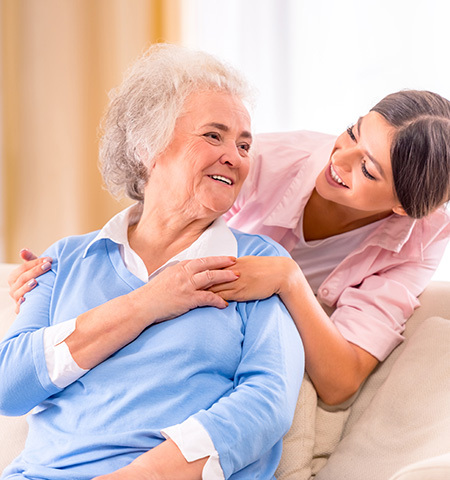 We make it easy to get home care services for elderly individuals in San Jose, CA & surrounding areas, and we tailor everything we do around the needs of that person. Through our in-home care in San Jose, CA & surrounding areas, we’re able to assist with daily activities like grooming or medication reminders, while also providing homemaker and transportation services. For family caregivers, we provide assistance in the form of geriatric care management—providing answers to important questions that you may have concerning your loved one and help you navigate the best options concerning their care. We can offer 24-hour in-home assistance or placement services when staying at home is not an option anymore. Everything we do is geared towards ensuring the happiness, dignity and quality of life of our elderly clients. We invite you to see the profound effect individualized care can have. We provide in-home care services, care coordination, and senior care placement, to ensure our clients are getting the personalized care they need. Our services are available 24/7 and we take the time to understand our clients’ needs to deliver the highest caliber care possible. Senior Care Connection, Inc. is licensed, insured and bonded. All caregivers are employees of our company. We are fully licensed by the Department of Social Services and have been a locally-owned and -operated organization since 2003. We’re members of the Better Business Bureau (BBB), Aging Lifecare Association (ALA) and the Alzheimer’s Foundation of America (AFA).